Proper care and maintenance of your new Minnkota Windows will aid in smooth operation and lasting beauty of your new windows and patio doors. Cleaning dirt and debris from the sills and tracks will allow them to open and close smoothly, and lock tight. Cleaning the frames and sashes with mild soap, water and a soft cloth will keep them looking as new as the day they were made. 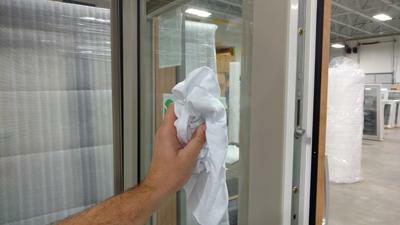 Clean the glass with a soft cloth to remove loose dirt and dust from the surface. Then use a solution of mild, soapy water; or window cleaner to clean the glass, wiping in a circular motion. Rmove the cleaning solution using a squeegee or a clean, lint-free, cloth. A full Care and Maintenance Guide can be found by clicking the link below.